This morning I feel like pondering on a few things Im truly thankful for this year. Besides the obvious of family, good health and my furry friends, among many other obvious ones. And instead of just making a list, I think Ill go a bit deeper into each one. The process of healing: This past year has brought many ups and downs. The biggest down being losing my father by his own will. Its only been a short 4 months, and I already feel like Ive been through so many stages of the grieving process. From denial to anger to sadness to forgiveness and acceptance to blankness to fear to longing... The list goes on. The process of healing has been much different from when I lost my mother. So very different. After I lost her, she was all I could talk about, for years. It kept her close to me to always have her on my mind and on the tip of my tounge. But with my dad, I find myself turning my cheek when I think of him, b/c of the circumstances. But as I am learning to face my fears of his death, Im learning alot about forgiveness and thankfulness for what is left behind. I am so grateful for all that both of my parents taught me. I feel like they gave me all the tools I need to face this world head on. They were such different people who gave me two completely different outlooks on life, and I think Ive walked away with the perfect blend of them. Im learning that I can keep their spirits alive by walking my life in their honor as if they were still here. I still want to make them proud everyday. This thankfulness I feel, the process of healing, is a long and complicated one to spell out, there are so many fine details of it, so this is just a bit of what I am learning. And the road has not ended, and wont until I take my own last breath. My husband: This one would appear to be an obvious one, but this year has proven his love more so than ever. To be honest, the first year or two of our marriage was pretty hard and rocky, and we almost lost each other from stupid behavior. But in the past 4 years, we have gone through so much. And the past 4 months, James has become the husband I could only ever dream of. After the loss of my dad, James stepped in and took care of everything. I mean everything. He called every person for me, he took care of every bill and company that needed to be contacted about dad's estate, he has been by my side through the whole process, physically and emotionally. He has been the one to handle everything out at my dad's big empty house, from organizing, cleaning, going through things, helping sell some stuff to be able to pay his taxes, etc. He has been more than I could ever ask for. Otherwise, Id be doing it all alone. And believe me, its an overwhelming task. Some amazing things have come from this too. Seeing James in the light has made me all the more confident that he is going to make an amazing dad. It has shown me his heart so much deeper than I knew before. And it has opened up the door of conversation of us having kids soon. (we are both fearful of this next phase in our life, but this I think has shown us both what we are truly capable of). The gift of choice: This one also ties in with my healing process of loss. I ever so clearly have seen that we have a big gift of choice in this world. Everyday we wake up, we have the choice to wallow in our self pity from the things we have experienced in this lifetime, or we have the choice to stand up and learn from it, and change ourselves for the better. I see so many people around me use their past as an excuse to self hate, to fall down and feel like they have to stay there, or that they deserve to stay there. This is not true. Each of us have something beautiful to give this world. And I think that the people who have had the hardest past, could easily be the ones to give the most. To learn from what has happened in your life and make sure it doesnt happen again to your children or those you love around you. You are not your past. Your past does not define you. And it is your choice how you allow it to contribute to who you are today. It is your choice to eat what you eat, to drink what you drink, to wear what you wear, to be nice or hateful, to cheat or not, to get high or not, to love or hate, etc. We all have this beautiful gift of choice. And just because you made the wrong choice yesterday, doesnt mean you have to make it again today. Each day we have a choice. This is an amazing thing. This online community: Ive said it before, but I really really do love this community I am a part of. Through this blog, facebook and twitter, etsy, all of it! I have met some of the most genuine friends through these online outlets. Only if we could be real life friends, or should I say face to face. I love that we all inspire each other. I love that I am able to chat about likeminded things to girls half way across the globe. And I love that we can support each other, emotionally. I love that I can use this space to share a more personal side of myself and not feel ugly or exposed for doing so. You all have been like a big comforting patchwork quilt to me. In some of my darkest moments, you have lifted me up, and I am truly thankful for that. Seeing my hard work pay off: This has been a big one this year. 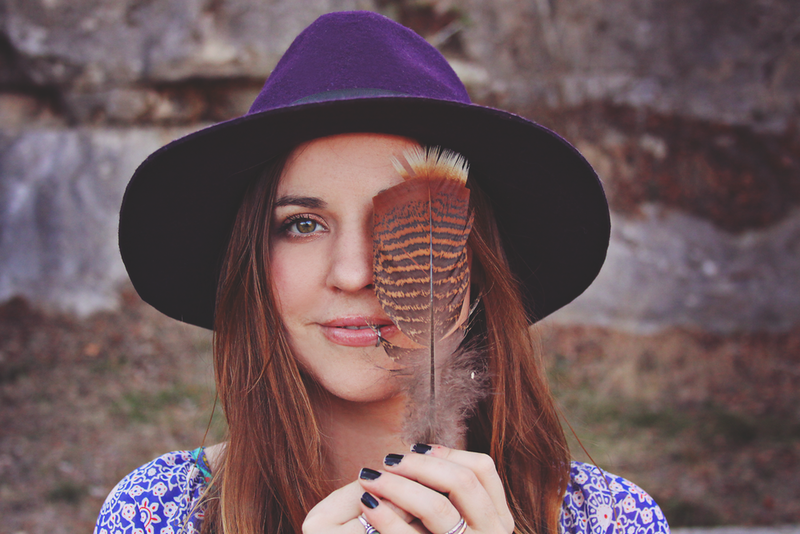 From starting my new line Roots and Feathers to becoming the featured seller on etsy. Among so many other triumphs. This year has proven to me that my hard work really has come full circle. The past few years I have poured myself into my creations and worked diligently everyday (too much at times I know)... I am so thankful to those out there that have made it what it is. I could work all day long, but if no one bought anything, I wouldnt be able to do what I do, so thank you! I hope everyone has a blessed Thanksgiving holiday!